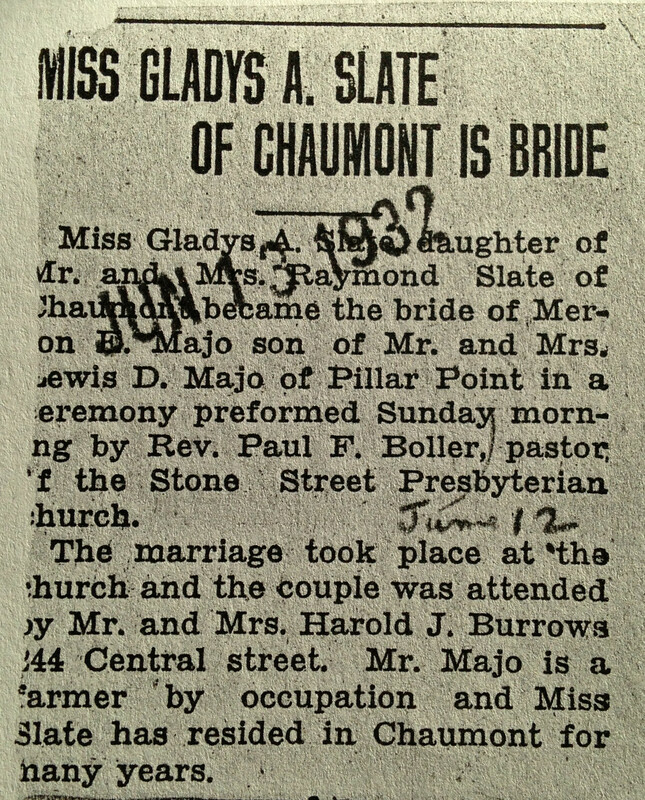 From the Lowville (NY) Democrat, announcing the Christmas day wedding of my great grandparents, Raymond Slate and Lottie Boyer. 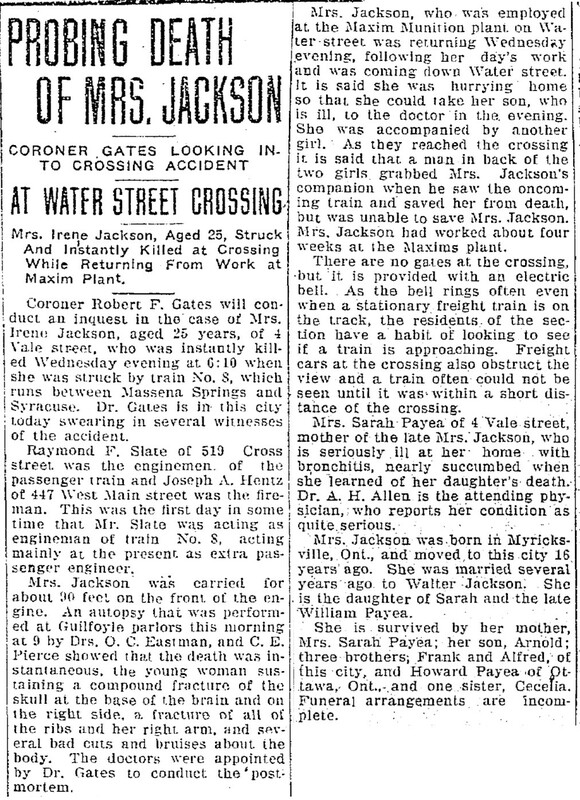 From the Watertown (NY) Daily Times, reporting the railroad accident that killed a Watertown resident at Water Street in the city. 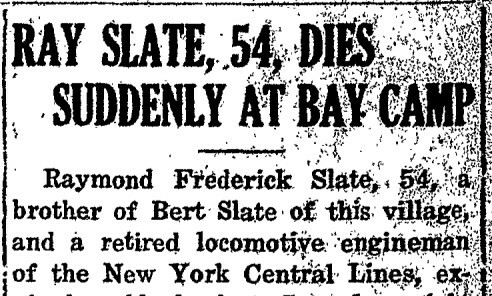 Raymond F. Slate was the engineer of the train. 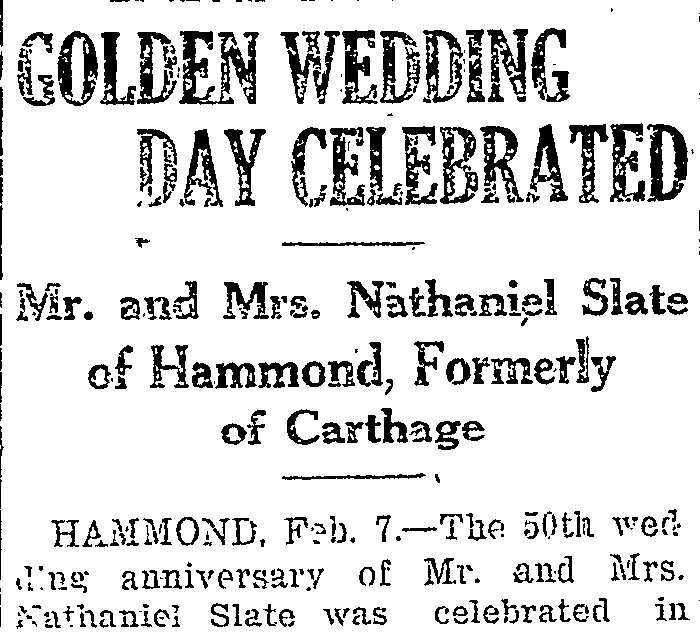 From the Hammond (NY) Advertiser, my second great grandparents, Nathaniel Slate and Loretta Card celebrate their 50th wedding anniversary. 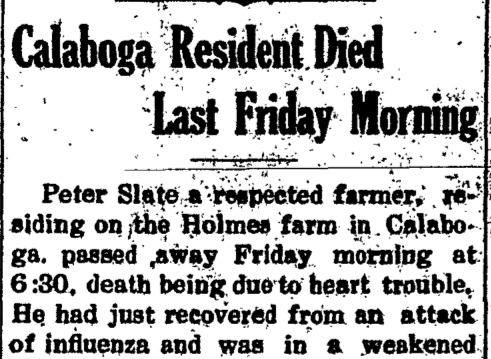 From the Hammond (NY) Advertiser, the obituary of my second great granduncle, age 63. 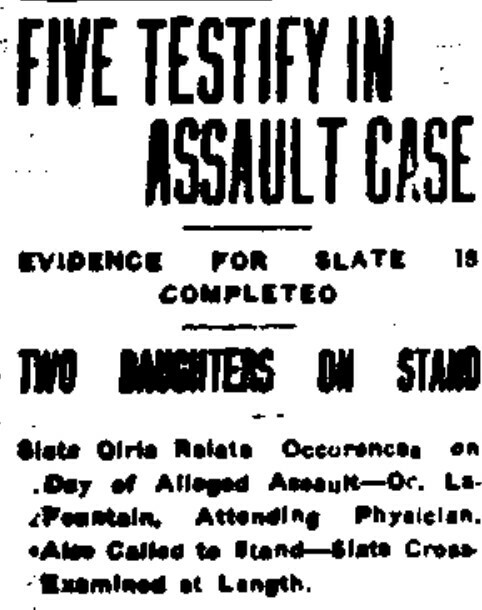 From the Watertown (NY) Daily Times, accounts of the trial of David Backes, charged with assaulting my great grandfather, Raymond Slate. 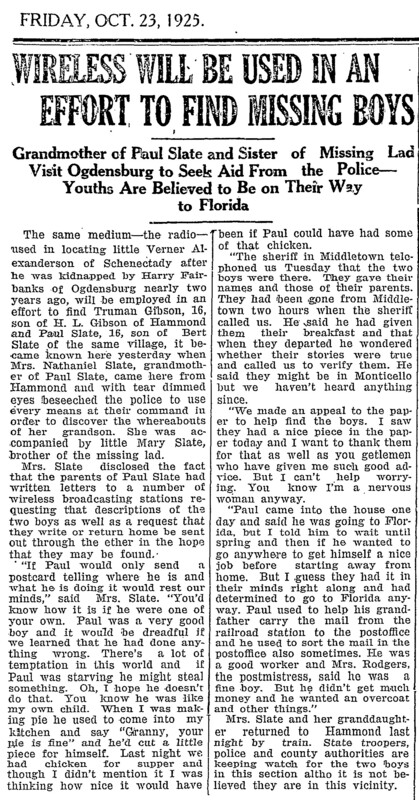 From the Ogdensburg (NY) Republican-Journal, the search for 16 year old Paul Slate and friend. 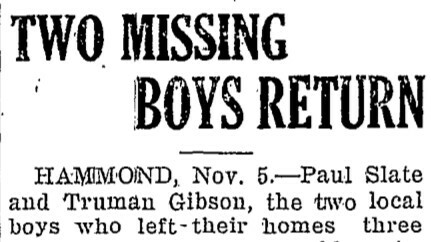 From the Ogdensburg (NY) Republican-Journal, a new clue emerges in the search for Slate and Gibson as they are spotted downstate in Monticello. 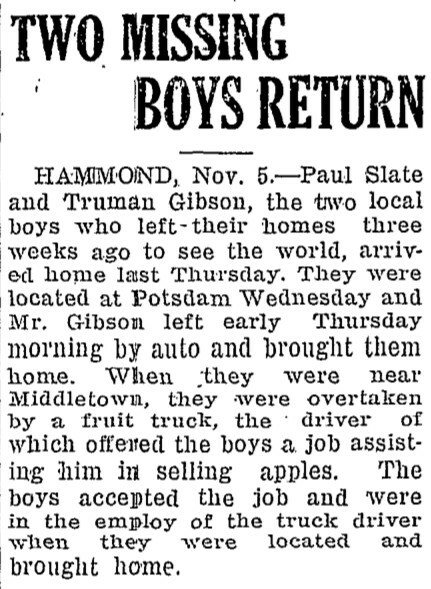 From the Ogdensburg (NY) Republican-Journal, Paul Slate and Truman Gibson return home after three weeks on the road. 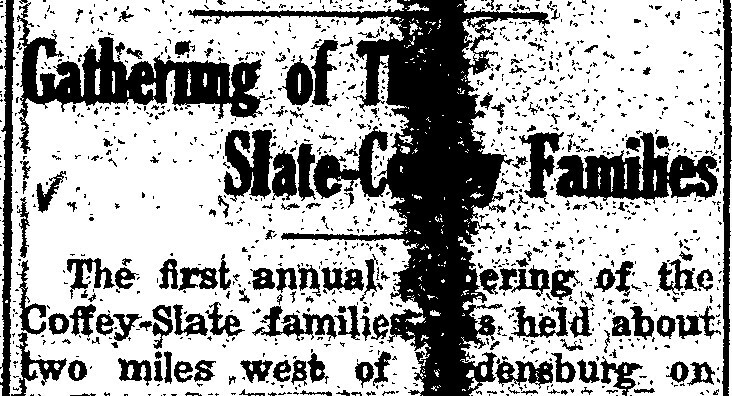 From the Hammond (NY) Advertiser, detailing the gathering of the Slate and Coffey families in their first such event. Over three dozen family members attended for an afternoon picnic, singing and stories. 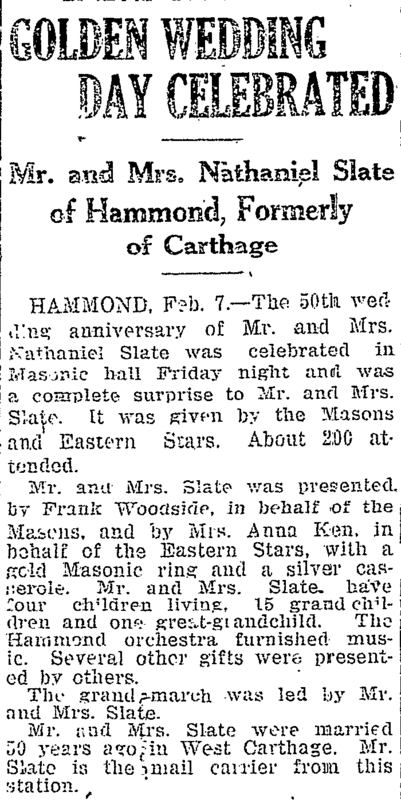 My second great grandfather, Nathaniel Slate, was the oldest in attendance. 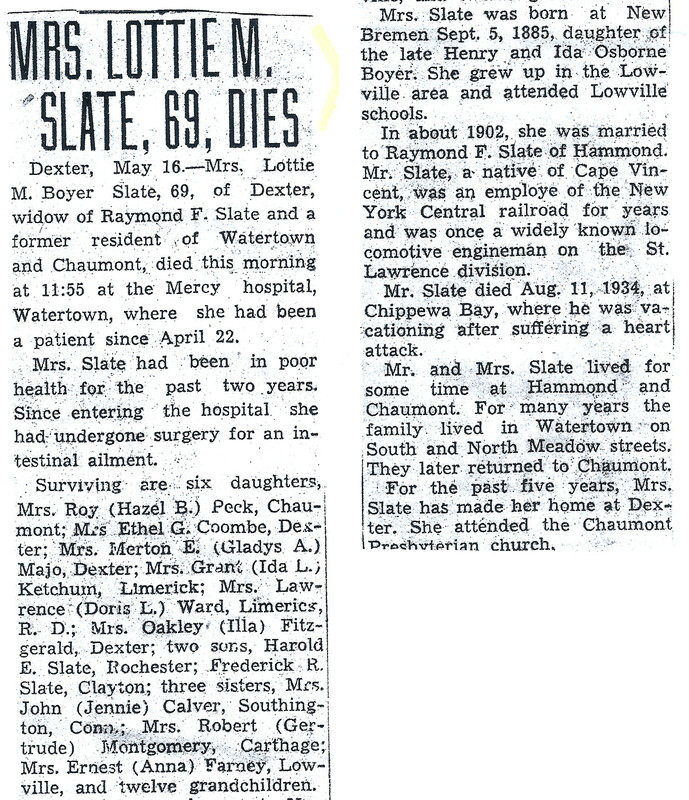 From the Hammond (NY) Advertiser, the obituary of my second great grandmother, Loretta Card Slate (wife of Nathaniel). 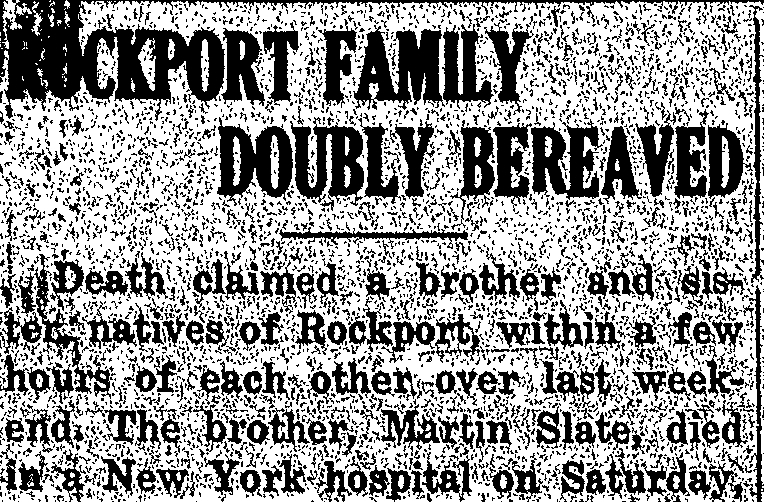 From the Hammond (NY) Advertiser, the tragic story of siblings dying within a few hours of each other. 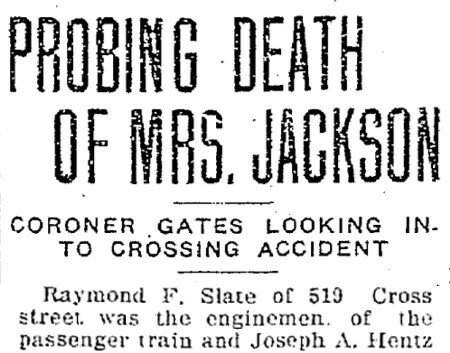 Helena's cause of death is unclear. 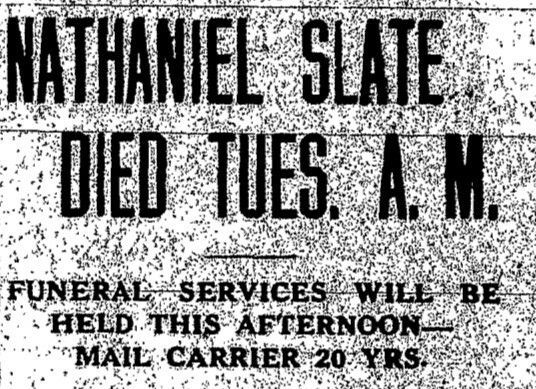 From the Hammond (NY) Advertiser, the obituary of my second great grandfather, Nathaniel Slate. 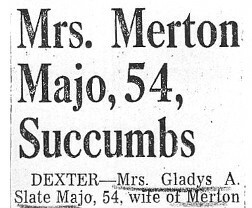 From the Watertown (NY) Daily Times, the wedding announcement of my maternal grandparents, Merton Majo and Gladys Slate. 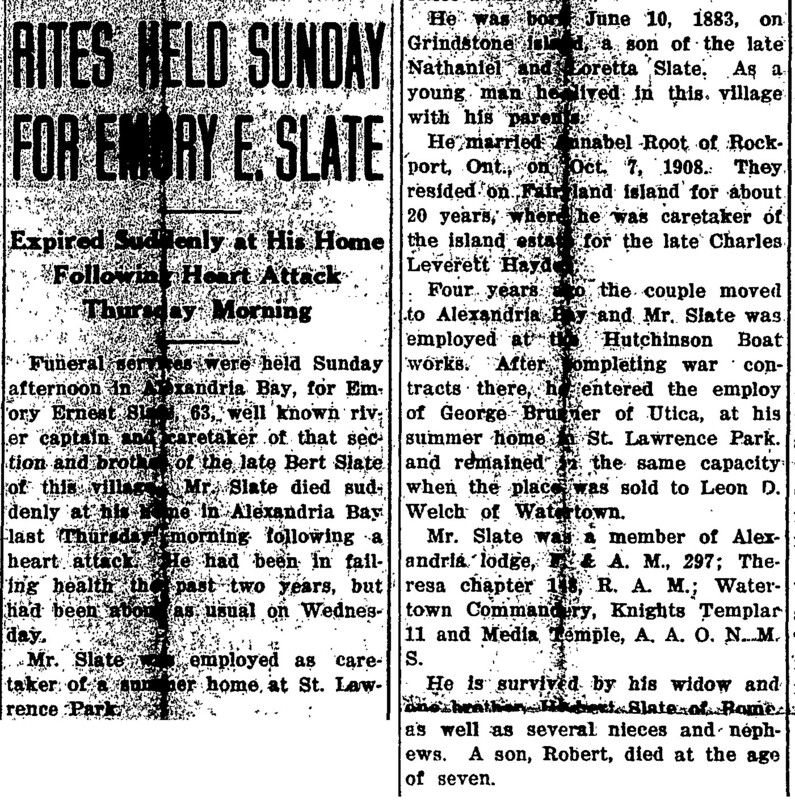 From the Hammond (NY) Advertiser, the obituary of my great grandfather, Raymond Slate. 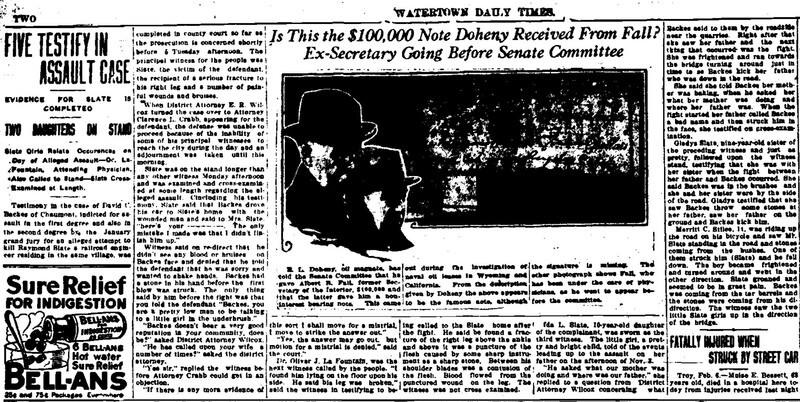 This article is a good example of the conflicting information that is often found in newspapers. 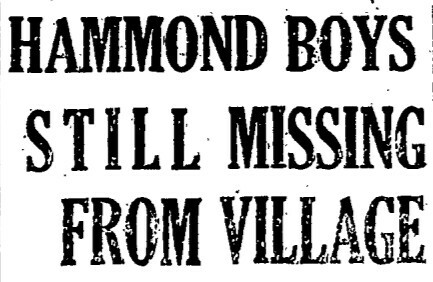 Raymond's birth year is listed as 1879, although other sources say 1880 and 1881. An official birth document has yet to be found. 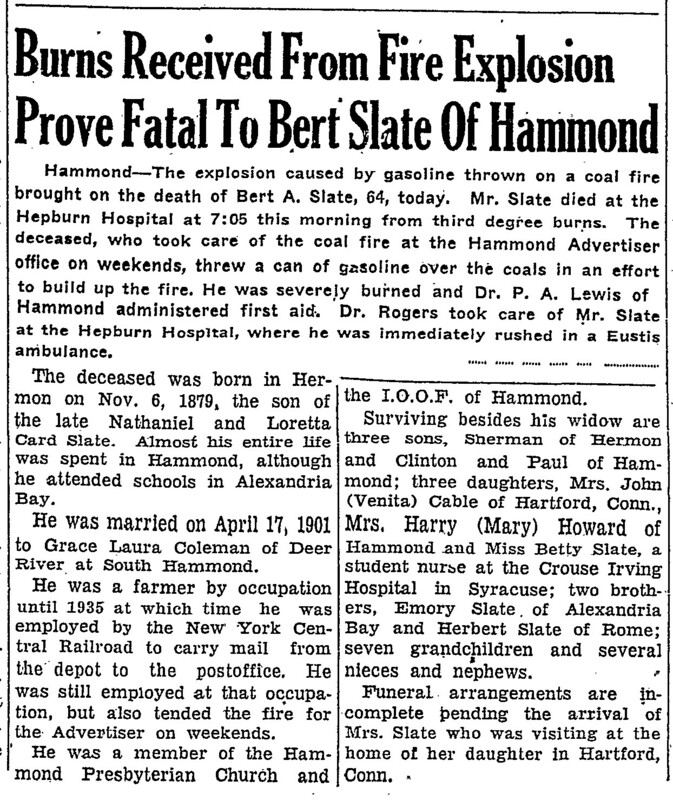 From the Ogdensburg (NY) Journal, detailing the explosion at the office of the Hammond Advertiser that killed Bert A. 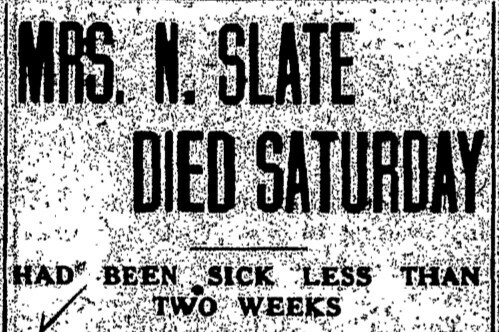 Slate. 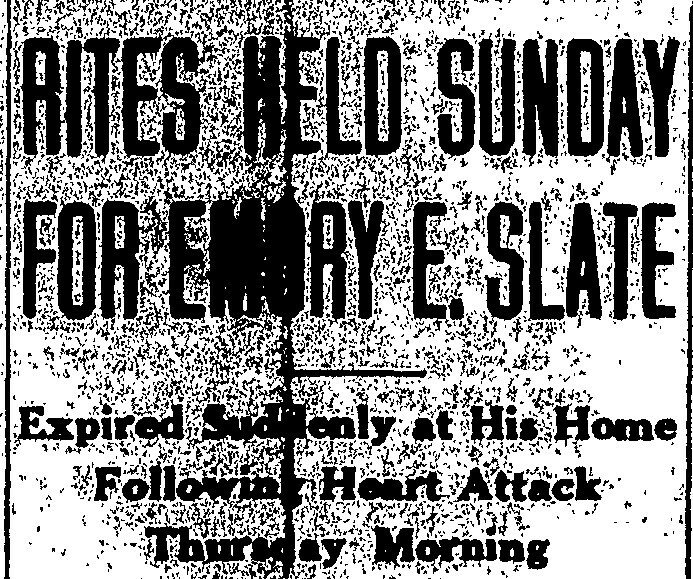 From the Hammond (NY) Advertiser. 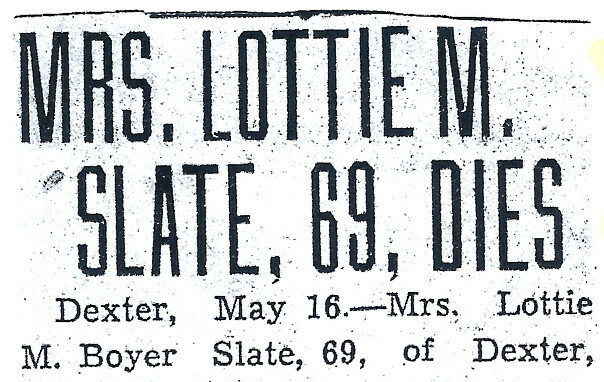 From the Watertown (NY) Daily Times, the obituary of my great grandmother. 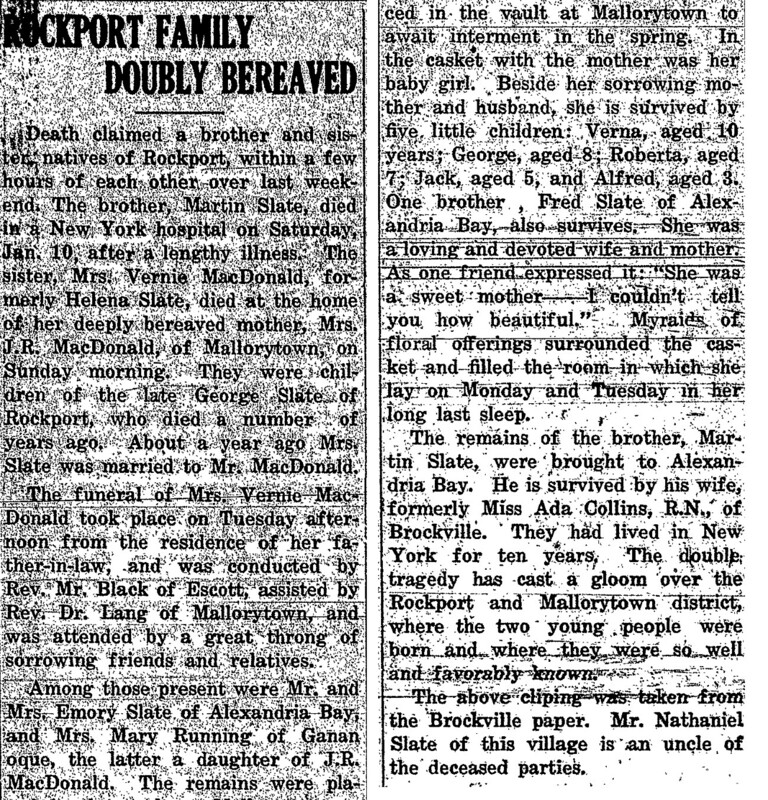 From the Watertown (NY) Daily Times, obituary of my maternal grandmother. 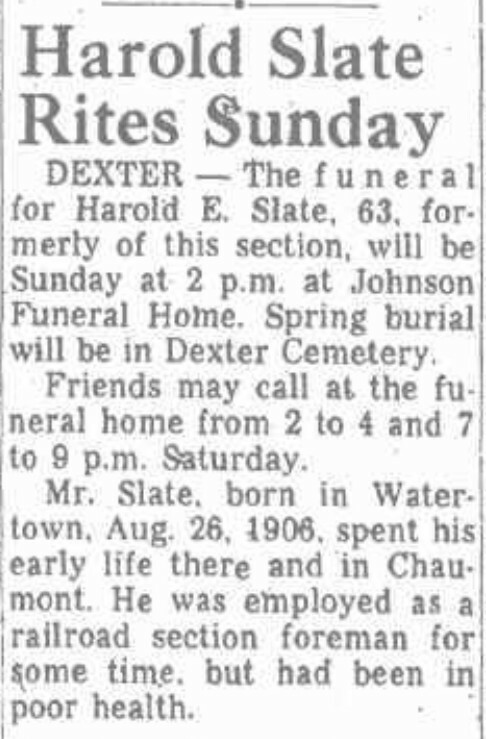 From the Watertown (NY) Daily Times, death notice of my granduncle Harold Slate, son of Raymond & Lottie.